In 1991, Spannocchia was at a crossroads. For centuries, the estate had existed underneath Tuscany’s traditional system in which resident tenant farmers sustain the property and, in return, themselves—but that all changed in the decades after the Second World War. By the late 1980’s, the last of what had at one time been forty resident families had left Spannocchia; the majority of farming operations had ceased, and Spannocchia’s main activity was providing seasonal housing for several art and archeology programs. The entire property was in need of repairs and funds were short; the future seemed uncertain. Nearby estates were being subdivided or turned into exclusive resorts, and Spannocchia was in danger of the same fate. Fortunately, the story of Spannocchia has long been one of blended American and Italian heritage with a strong commitment to preserving the historic nature of the property. The estate had been purchased in 1925 by the Florentine writer, Delfino Cinelli, and his American wife. Their son, Ferdinando inherited it in the 1940’s, and in 1958 established the Etruscan Foundation to sponsor archeological excavations and art programs in Tuscany. Francesca Cinelli, Delfino’s granddaughter, was born in America, but had taken a special interest in the old family property. Especially since she had met her husband, Randall, there on a visit in 1981. Francesca and Randall moved to Spannocchia in 1992 with their young family in the hopes of preserving the 1100-acre estate and its historic character. Over the course of the next ten years, they restored buildings, revived the farming operation with organic methods, expanded the range of education courses, initiated an intern program, and greatly increased agritourism activity on the estate. All was done with the utmost respect for the historic nature of the property and was guided by lessons from the past. Results of their efforts seemed to confirm that this special place was becoming a new model for conservation and sustainability in the region and beyond. That vision inspired the Cinelli family, in 2002, to establish the not-for-profit Friends of Spannocchia (previously the Spannocchia Foundation), with Erin Cinelli, one of Delfino’s great granddaughters, as the director. The non-profit, headquartered in Portland, Maine, and funded by donations and membership fees, created a vehicle to expand the educational programming and the experience-based internship program. Since then, the Spannocchia Foundation, in collaboration with many universities and other educational institutions, has exposed thousands of guests and hundreds of interns to the lessons of Italian culture, organic farming, and environmental responsibility. A blended community of American and Italian staff have built the estate into the international model for sustainability that it is today. We seek to learn from the past to inspire a more sustainable future. Spannocchia’s Reception team handles our reservation process for rental farmhouses and guest rooms, welcomes our guests and program participants, helps in scheduling activities and organizing meals, and is always ready with advice and suggestions for area attractions. Our Fattoria team is responsible for producing all of our fruit and vegetable crops, our olives and olive oil, grapes and wine, and heritage breed cattle and pigs, as well as our fresh and cured meats, and for keeping our historic estate and farm tools up and running. They help Spannocchia operate following organic standards, with attention to a healthy farm ecosystem and animal welfare, and using sustainable practices in addition to mentoring our farm internship participants. Operating both at Spannocchia and with an office in Portland, Maine, USA, the Office team is responsible for everything from coordinating workshops offering to managing our internship programs to organizing special events to managing finances and donations to our non-profit Friends of Spannocchia. Our Guest Services staff are responsible for preparing Spannocchia’s breakfasts, lunches, and dinners for guests using products and ingredients fresh from the farm. They are also responsible for housekeeping services for our rental farmhouses and guest rooms in the Villa and Fattoria. The Spannocchia Board oversees the non-profit, Friends of Spannocchia, and meets four times a year, with a meeting at Spannocchia once every two years. 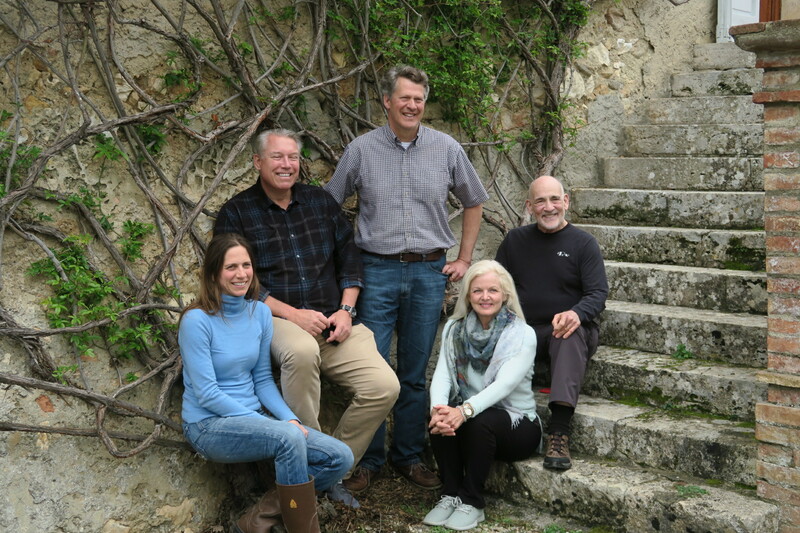 Volunteering their time and expertise, this group supports the mission of Spannocchia as a center for maintaining Tuscan traditions, sustainable agriculture, and educational and cultural exchange.